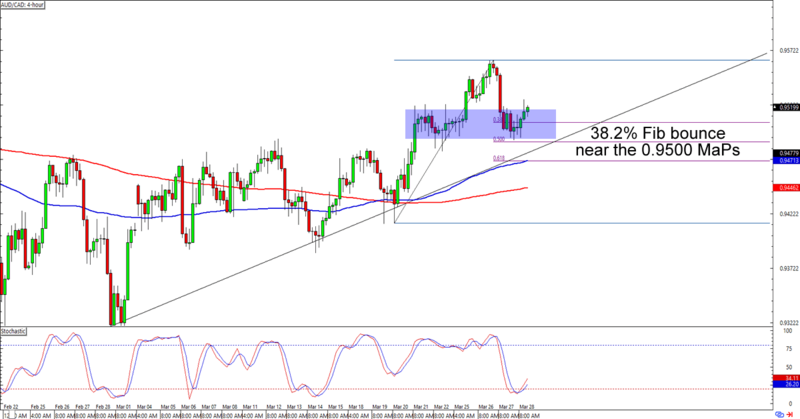 AUD/CAD looks like it’s bouncing from the 0.9500 major psychological handle, which is right around a 38.2% Fib retracement that’s also above a rising trend line and the 100 and 200 SMA on the 4-hour time frame. Think the Aussie will maintain its bullish momentum against the Loonie? Buying at current levels is still a good idea especially if you believe that AUD/CAD will hit new 2019 highs in the next few trading sessions. Keep close tabs on this one in case the bulls get their momentum! Support alert! 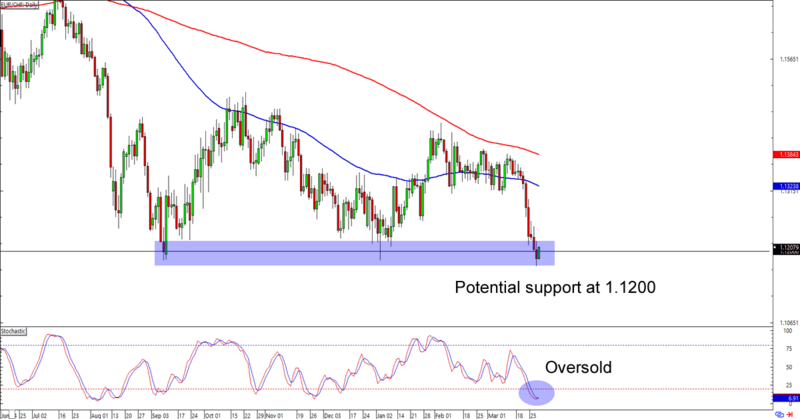 EUR/CHF is flirting with the 1.1200 major psychological handle, which has served as a solid support level at least twice since September. Who’s betting on another bounce for the euro? A long trade at current levels would give you a good reward-to-risk ratio especially with a stop just below the support and a profit target around the 1.1430 area. If you’re one of them euro bears, however, then you could also wait for a convincing break below the 1.1200 MaPs before you execute them short trades. Just make sure that you’re not looking at a fakeout, aight?